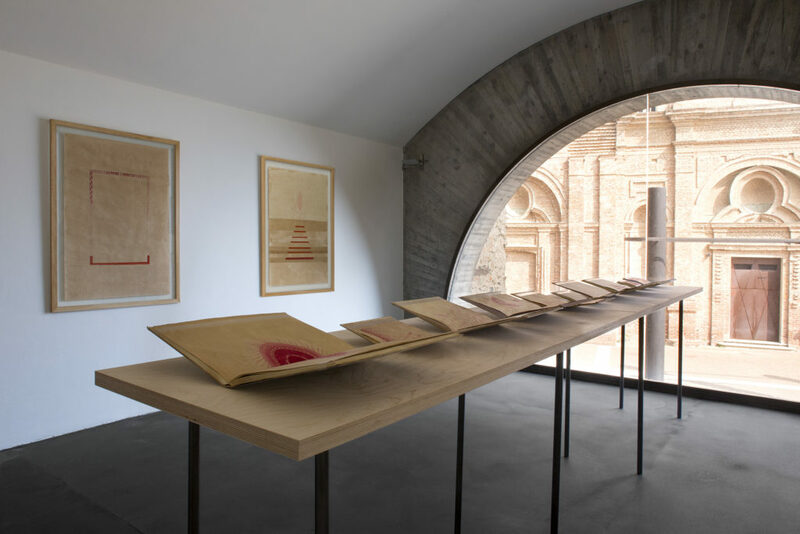 Çavusoglu’s Red / Red (2015–17) examines the political dynamics that have developed along the border between Armenia and Turkey by means of a color: the red pigment extracted from the Armenian cochineal beetle. The pigment was used by Armenian craftsmen during the Ottoman Empire, before the genocide, and red has been the color of the ag of Turkey since the Republic period. 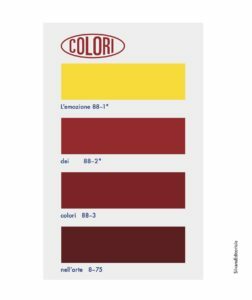 Thus in this work the artist reconstructs the history of a color that is part of the cultural memory of both countries. With the help of the only phytotherapist still able to recover the pigment, Çavusoglu used it to make a series of illustrated books and painted panels that gradually range from the deepest red-purple to the brighter red of the Turkish flag. While the cochineal is very common in Turkey because it is no longer used, in Armenia it has almost disappeared as a result of Soviet policies of industrialization in the 1970s that caused its near extinction. The perception of color differs from one animal species to another and from person to person, and it is one of the main elements through which we distinguish one thing from another. Our brains see colors a fraction of a second before they distinguish shapes. For thousands of years we ground rocks, crushed owers, and boiled small bugs to extract from them colored particles; we called them pigments and we used them to reproduce the colors of flowers, of butterflies, of fish. We did this so that we could paint, so that we could dye, so that we could signal, so that we could decorate, so that we could seduce, so that we could love. This exhibition explores the use of color from the 19th century to the present, by suggesting constellations of meanings that redraw the traditional history of color through multiple narratives interwoven with memories, emotions, spirituality, and synesthetic suggestions. 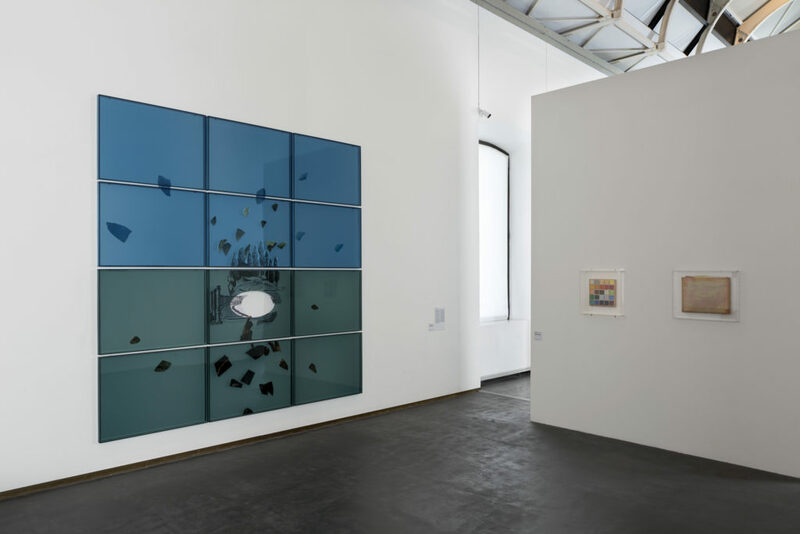 Produced in association with the GAM Turin, which holds most of the historic works in the exhibition – with the exception of the paintings by Manet, Munch and Mancini – the show at the Castello di Rivoli also includes contemporary art works from Europe, America, Asia, and Africa, dating mainly from the 1960s to the present. 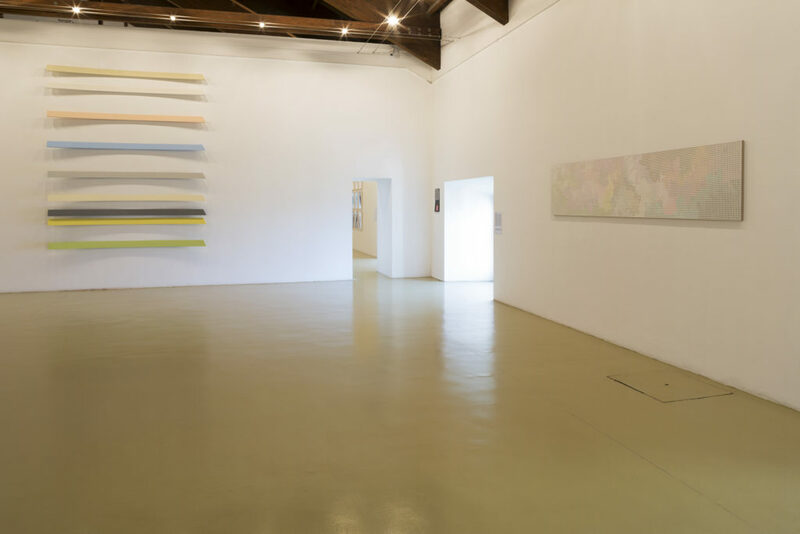 These works are on show in the rooms on the ground floor, the mezzanine, the second and third floors of the Manica Lunga, as well as in the Library, the Theater, and on the third floor of the main building of the castle. Color is an obvious aspect of the world, and yet so elusive when you stop and think about it. Certain material surfaces absorb all electromagnetic waves except those that bounce back from them. These waves hit our trichromatic retinas and then they are processed in the V4 part of our brains in the back of our heads, where we translate and “see” them as hues of particular saturation and brightness. In 1704 Isaac Newton showed how the white light of the sun’s rays is made up of the colors of the spectrum, suggesting an objective reality of “color by addition.” This proof of physics still dominates our common knowledge today, though what is more important for artists, who have always mixed pigments, is “color by subtraction,” according to which mixing primary colors like red and yellow produces orange, and mixing them all together produces black, not white. In 1810 the poet, philosopher and experimenter Johann Wolfgang von Goethe moved away from Newton’s abstract, scientific objectivity to study the perceptual effects of color and refuted Newton by observing the phenomenon of “afterimages,” according to which if we look at a color for a long time and then look at a white surface, we will see its complementary color there. Thus he laid the foundations for a theory of color as a phenomenon that is principally psychological and neurological. Following on from Goethe and the theosophist and anthroposophist studies on color, the early avant-garde artists studied the changing emotional, spiritual and even synesthetic effects of colors (for example, how sound and color relate in the mind). Modern art was born from the liberation of pure color, which, freed from its obligation to faithfully represent something in the world outside, has a value in itself. Manet’s lemon was one of the first examples of a still life that made a single yellow element central to the painting, in some senses anticipating the monochrome. 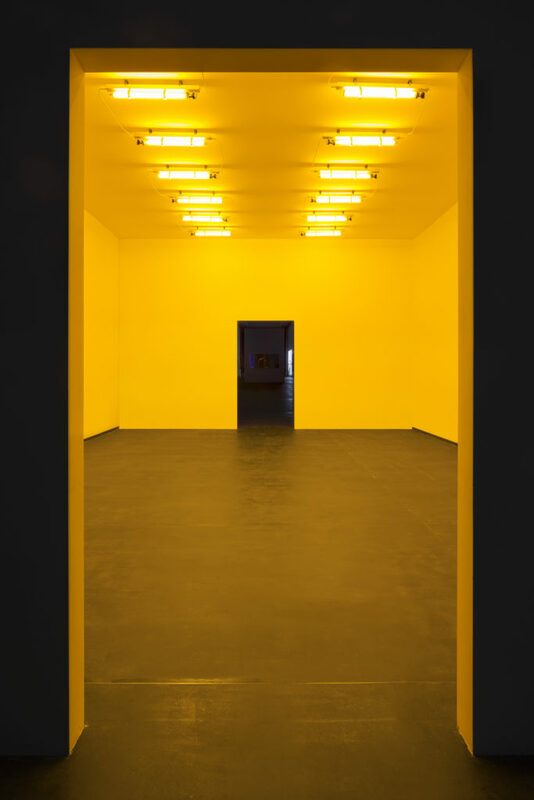 Lucio Fontana’s spatial concept explored the monochrome in the postwar period, as did Ellsworth Kelly’s “hard-edged” works, while Dan Flavin liberated color from pigment and made colored light the artwork. 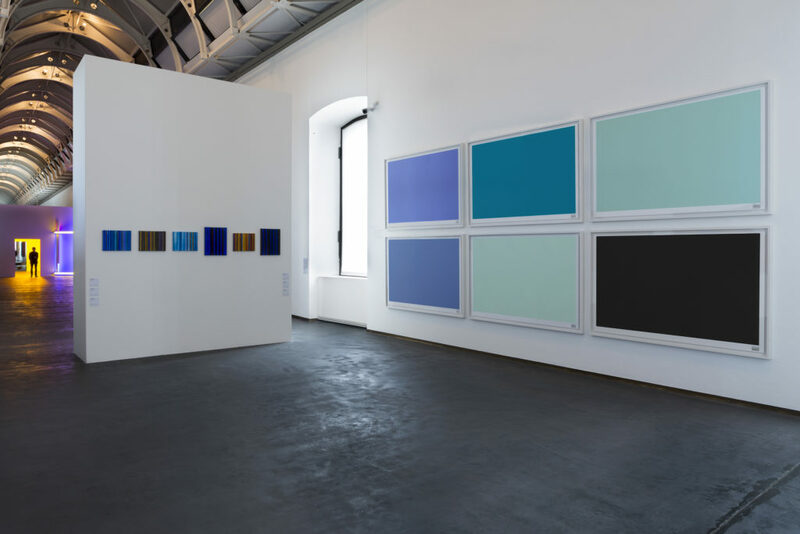 For Andy Warhol color was amboyant, seductive and could be anything, as befitted the consumerist society of the 1960s, and Gerhard Richter eschewed composition to adopt standardized color charts. In the second half of the 1960s Hélio Oiticica made color something that was wearable and made it dance in his Parangolés, while André Cadere took color with him everywhere he went on foot. 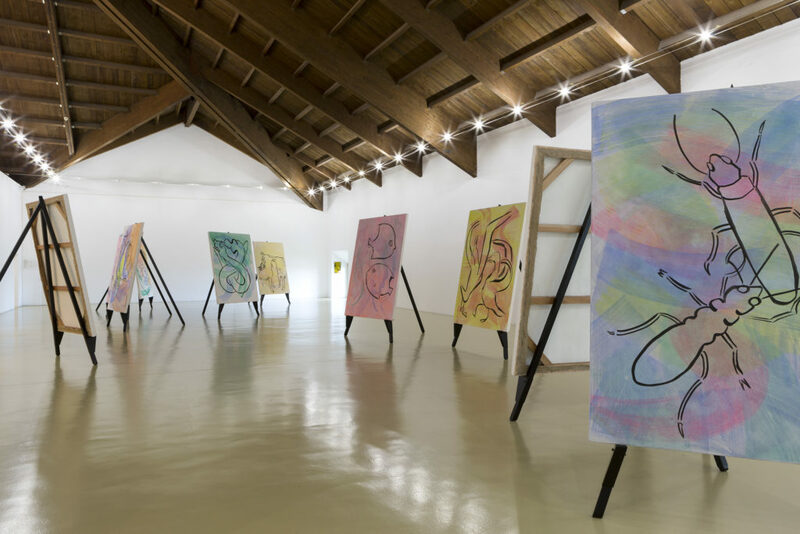 Gilberto Zorio and Giovanni Anselmo, like other Arte Povera artists, remind us of the physical properties of the colored elements we see and the organic and chemical processes active in their transformation. 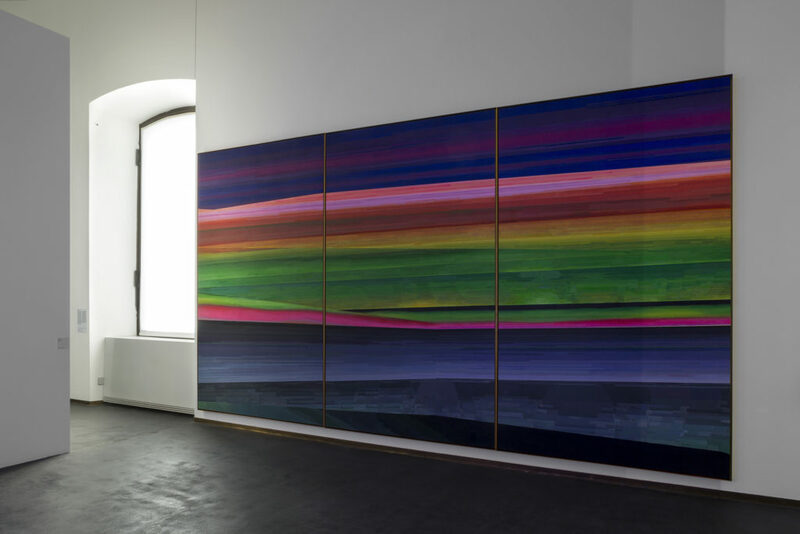 In the 1980s Tony Cragg created symphonies of color with recycled plastic waste, while Haim Steinbach reminds us that we live in a world of colored simulacra and Thomas Ru reveals the substratum of the image in articial colors. 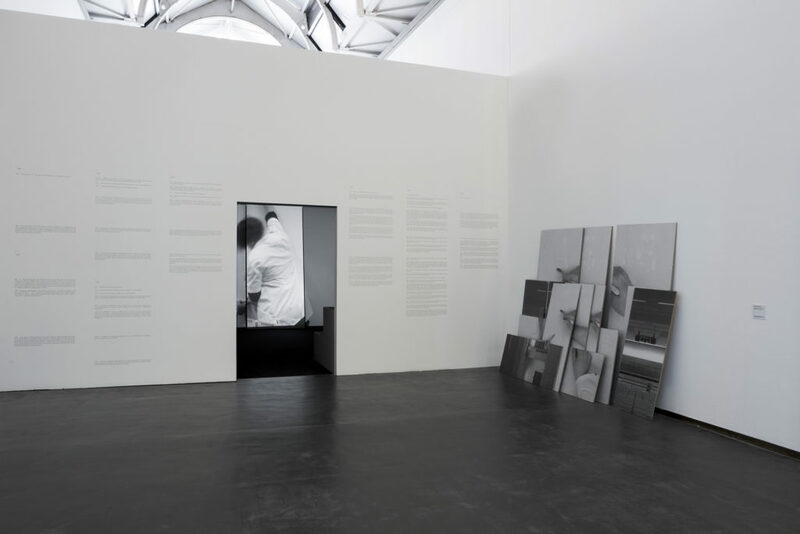 Soon afterwards, in the 1990s, Walid Raad presented the colored surface as a means of obfuscating political realities in the Middle East and Simon Starling denounced the loss of analog color-weaving techniques. 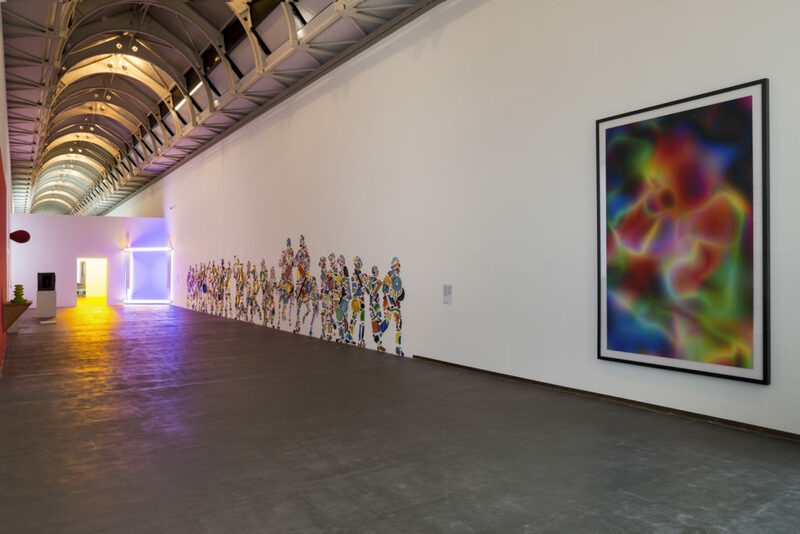 Damien Hirst makes a statement with seductive standard colors, and even more recently Heather Phillipson and Liu Wei have explored the possibilities of digital color, while Otobong Nkanga celebrates the extract of cola nut as the power of political resistance in a globalized world. 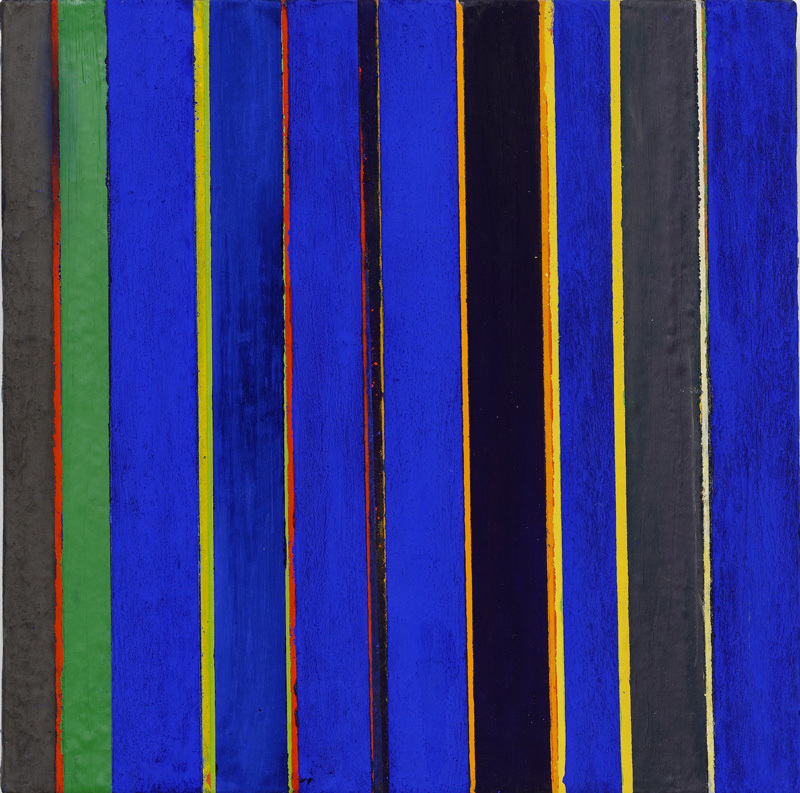 In the strictly contemporary works, artistic reflection on color follows many different paths – narrative, performative, experiential – but always with an awareness of color’s capacity to express the emotional history of the human being and the wealth of knowledge that lies beyond our standardization of vision, art, and life itself. Participants (highlighted names are on view at Castello di Rivoli): Anonymous Tantra drawings, Isaac Newton, Johann Wolfgang von Goethe, William Turner, Friedlieb Ferdinand Runge, Michel Eugène Chevreul, Antonio Mancini, Édouard Manet, Giuseppe Pellizza da Volpedo, Annie Besant, Lea Porsager, Erin Hayden, Stanislao Lepri, Mikalojus Konstantinas Čiurlionis, Piet Mondrian, Gabriele Münter, Wassily Kandinsky, Alexej von Jawlensky, Marianne von Werefkin, Edvard Munch, Hans Richter, Henri Matisse, Leo Gestel, Luigi Russolo, František Kupka, Giacomo Balla, Hilma af Klint, Paul Klee, Johannes Itten, Fortunato Depero, Sonia Delaunay, Oskar Fischinger, Francis Picabia, Alexander Calder, Josef Albers, Mario Nigro, Giulio Turcato, Nicolas De Staël, Hans Hofmann, Mark Rothko, Pinot Gallizio, Karel Appel, Asger Jorn, Paul Guiragossian, Fahrelnissa Zeid, Atsuko Tanaka, Shōzō Shimamoto, Lucio Fontana, Yves Klein, Enrico Castellani, Piero Dorazio, Carla Accardi, Victor Vasarely, Tancredi Parmeggiani, Giulio Paolini, Mario Schifano, Alejandro Puente, Sergio Lombardo, Estuardo Maldonado, Carlos Cruz-Diez, Luis Tomasello, Warlimpirrnga Tjapaltjarri, Kenny Williams Tjampitjinpa, Michelangelo Pistoletto, Arman, Andy Warhol, Gerhard Richter, Alighiero Boetti, Ellsworth Kelly, Donald Judd, Dan Flavin, James Turrell, Jordan Belson, James Whitney, John Latham, Pietro Caracciolo / Agata Marta Soccini / Ruben Spini, Gustav Metzger, Claude Bellegarde, Gruppo MID, Rupprecht Geiger, Piero Gilardi, Pino Pascali, Helio Oiticica, Raymundo Amado, André Cadere, Franz Erhard Walther, Bas Jan Ader, Lawrence Weiner, Gilberto Zorio, Giovanni Anselmo, Lothar Baumgarten, Mel Bochner, John Baldessari, Robert Barry, Sigmar Polke, Gotthard Graubner, Giorgio Griffa, Channa Horwitz, Nicola De Maria, Tony Cragg, Anish Kapoor, Ettore Spalletti, Haim Steinbach, Wolfgang Laib, Katharina Fritsch, David Hammons, Irma Blank, Thomas Ruff, Damien Hirst, Liam Gillick, Jim Lambie, Arturo Herrera, Olafur Eliasson, Walid Raad & The Atlas Group, Edi Rama, Anri Sala, Ryan Gander, Ed Atkins, Hito Steyerl, Theaster Gates, Etel Adnan, Eugénie Paultre, Giuliano Dal Molin, Cheyney Thompson, Ye Xianyan, Maria Morganti, Mika Tajima, Basim Magdy, Rose Shakinovsky, Simon Starling, Moon Kyungwon & Jeon Joonho, Aslı Çavuşoğlu, Lara Favaretto, Liu Wei, Kerstin Brätsch, Camille Henrot, Heather Phillipson, Otobong Nkanga, Bracha Ettinger, Vittorio Gallese & Martina Ardizzi / Università di Parma.